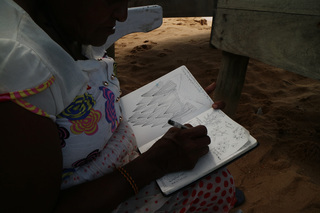 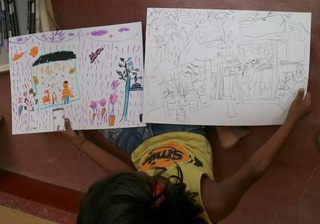 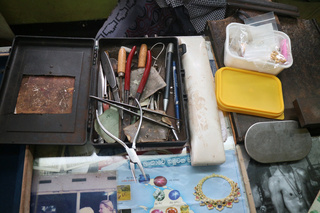 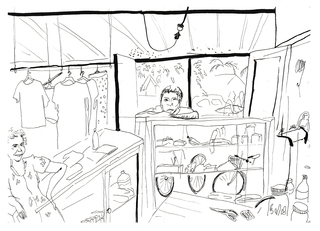 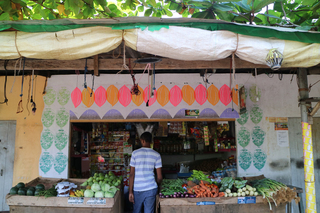 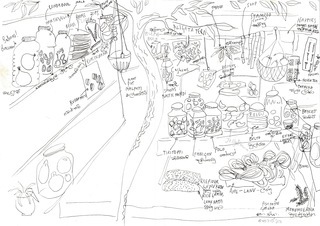 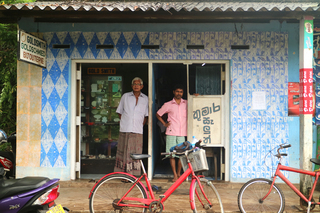 A project through the Sura Medura Residency in Sri Lanka to use drawing to communicate and to understand how things work, and to develop installations for local shops. 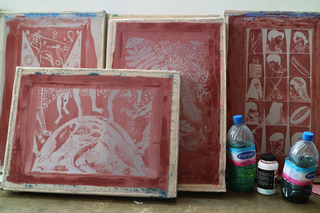 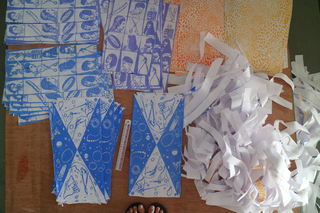 Screen printed illustration /decorations / Installations and Drawing Conversations made during a residency with UZ Arts in SriLanka. 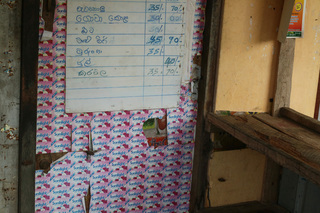 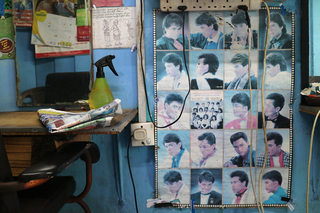 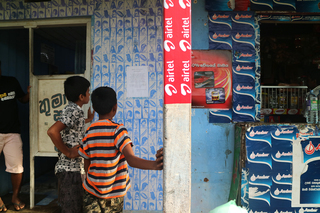 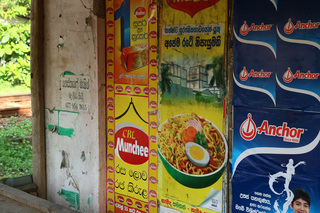 After looking at the way posters for mass brand products are pasted and patterned over facades as both decoration and advertising I became interested in using similar techniques to learn about and develop illustrations with small businesses in the Hikkaduwa area. 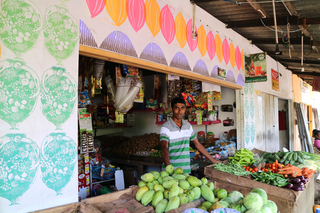 With the permission of different business owners to apply screen printed and pasted illustrations to their shops facades, this was a playful attempt to decorate and advertise while focussing on the actual products and services sold in individuals' shops.